Home / GDPR News / How Much Data Do The Social Networks Hold on You? You’ll Be Shocked! How Much Data Do The Social Networks Hold on You? You’ll Be Shocked! Judith Duportail, reporter for the Guardian, recently found out how much data Tinder held on her. The result was shocking – over 800 pages’ worth of her most intimate details. It’s nothing new to find out that your favourite services are meticulously collecting all the bits and pieces of your personal data. Somehow, we’ve come to accept it and the services don’t even try to hide it. Even if they do, it’s all there – in the admittedly obscure Terms of Service. However, while we do know that they collect data, many of us would get shocked if we knew how much data they actually have. The Guardian’s reporter, Judith Duportail, wanted to find out just that. Under the European privacy laws, individuals have the right to obtain a copy of their data free of charge within a reasonable timeframe. This right is reinforced in the new General Data Protection Regulation as well. Her Tinder account was the perfect candidate. She’d had it for about four years and used it much like the regular users do. In a sense, she was the perfect guinea pig. The results weren’t as pleasant as she’d hoped. During her stint as a Tinder user, she matched with about 870 people and turned on the app more than 900 times. The result? 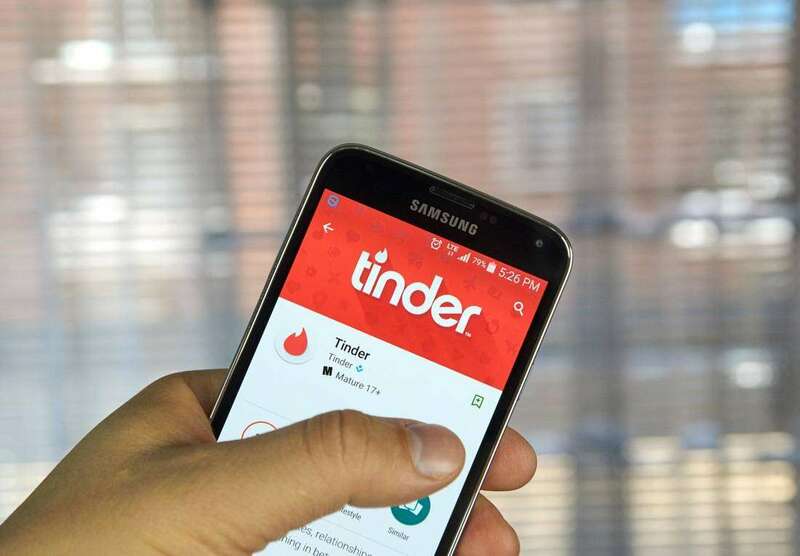 Tinder sent her a copy of her personal data – a whole 800 pages’ worth! Her Tinder files contained not only her conversation history, but also her Facebook likes, posts and information. The app can also connect to Instagram, and it will link to photos from there as well. The amount of information that can be gleaned from this raw data is unimaginable. The data copy essentially contained a blueprint of her as a person – her art interests, her tastes in food and her level of education, among others. But it’s not only the obvious information that’s dangerous. Her usage habits are also there for Tinder to analyse. They know how often and when she used the app. It’s not difficult to connect the dots and determine when she goes to sleep or when she’s at work, for example. It also got to know her preferences in men, based on whom she contacted. She cites the unsettling thought that crossed her mind as she was sifting through the data: “The thought that, before sending me these 800 pages, someone at Tinder might have read them already makes me cringe”. Even Tinder’s official policy, the article goes on to state, does not even pretend to guarantee the privacy and safety of communication. Tinder claims they use the information to better match the user with potential partners. It’s also clear they use it for targeted marketing, of course. Ms Duportail got no information when she enquired as to how precisely they use her data. The not-so-surprising revelation? Tinder knows you better than you think. But this is not an isolated case – if anything, Tinder is less of a data repository than Facebook. Also, in no way are we, as users, forced to give out our data. It’s the nonchalant manner in which we do it that’s actually disturbing. In our quest for free services, we have failed to see what we’re in fact paying with our personal information that we love to share.